» Consoling Angel is a finalist for Wise Bear Digital Book Awards! Consoling Angel is a finalist for Wise Bear Digital Book Awards! 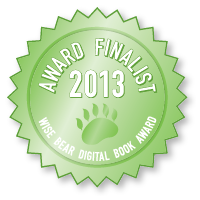 I’m excited to announce that Consoling Angel is a finalist for the Wise Bear Digital Book Awards! Thank you to Wise Bear Books!